Every Thursday I have the privilege of meeting with an amazing group of praying women. Most of them are older than me, wiser than me, and have a longer track record with God than me. I can’t quite explain it, but there’s something about the way they pray that makes my breath catch in my throat every time. Their prayers have a certain unshakable quality to them—a kind of quiet confidence. They’ve seen God prove himself faithful so many times in the past that they know they can trust him, even when disaster is nipping at our heels. One Thursday a few weeks ago we felt calamity’s hot breath panting closer than ever. We’d been praying a lot of “11th hour prayers” in recent weeks—asking God to intervene in desperate situations that were growing increasingly dire. Each week we came before God, asking him to step in at the final hour and prevent these worst-case scenarios from happening. We knew he could intervene. We’d seen him do it before. But on that particular Thursday, all the things we’d been dreading became reality. The woman with the two young daughters succumbed to cancer. The marriage we were interceding for fractured beyond repair. The prodigal we were praying for cut off communication with his mother and moved across the country. The young immigrant who was struggling with depression took his own life. As we gathered in our little meeting room, our hearts were heavy. How do you pray after it’s too late? How do you pray when the worst thing has already happened? 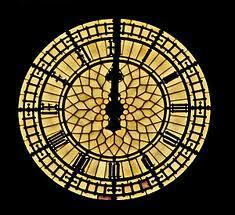 How do you pray when the clock strikes midnight and God has just stood by, silent? The Israelites knew this feeling of desperation well. The prophets had predicted that judgment was coming and that Israel—God’s chosen people, the very people who had been blessed with his special protection for generations—would be overtaken by their greatest enemy, Assyria. They were on the cusp of their worst-case scenario. Would they still have faith when the thing they dreaded most loomed large and inevitable? and my God will certainly hear me…. Though I fall, I will rise again. Micah didn’t insist that God would prevent disaster from coming his way. He didn’t assume that if he was faithful, God wouldn’t let him fall. But he did hold on to the belief that if he fell, God would help him rise again. O Lord, God of Israel…you alone are God of all the kingdoms of the earth. You alone created the heavens and the earth. Bend down, O Lord, and listen! Open your eyes, O Lord, and see! When our worst fears become reality and we no longer know how to pray, may we take our cues from those who have gone faithfully before us. Like my praying ladies, who continue to gather each Thursday, no matter which side of the disaster we’re on. Like the prophet Micah, who believed that God would raise him up again after he fell down. Like King Hezekiah, who believed it was never too late to ask God to bend down and listen. We have passed the 11th hour, Lord. Yet still we pray. We beg you to bend down your ear to listen. Even when we don’t know the words to say. Question: Have you passed the 11th hour in prayer before? What did you do? I’ve taken the challenge of reading the Bible chronologically this year (not to be confused with chronically) and tracing the thread of grace through it. These musings are prompted by my reading. I’d love to have you join me: One Year Bible reading plan.